This year marked the 15th anniversary of Isode’s entry into the civil aviation market, when we started to supply messaging servers and APIs into the AMHS (Air Traffic Services (ATS) Message Handling Services) market via our solution partners, helping those partners to deliver great AMHS based solutions to their Civil Aviation Authority customers. Since then over 100 countries have installed AMHS systems based around Isode messaging servers, with more sales on the way this year as new countries switch from the old AFTN system or expand their existing AMHS installations to encompass regional airports and hubs. 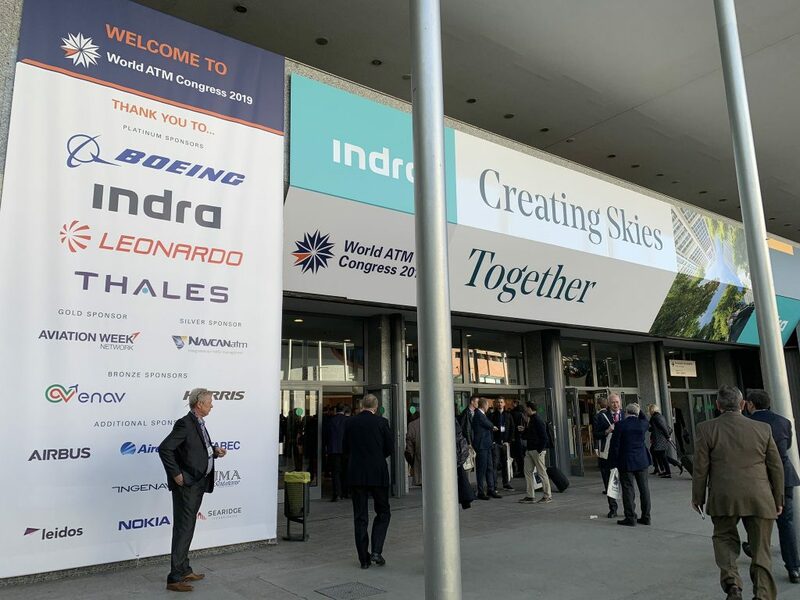 At the recent World ATC Congress in Madrid, as well as taking a look at all of the new developments in this vibrant market, we spent some time visiting and thanking those partners for the excellent working relationship we’ve enjoyed over the years. It was comforting to see that our partners are as enthusiastic about this market now as they were when we first met them. Earlier this month the High Frequency Industry Association (HFIA) held their first meeting of 2019 in San Diego. Isode CEO, Steve Kille, attended and gave three presentations at the meeting. The first looked at measurements of HF Modem transmissions over a channel simulator using Collins modems and simulator. It investigates the impact of varying Interleavers for STANAG 4539 and STANAG 5069 waveforms. This presentation can be found here. The second presentation was an overview of two whitepapers we recently published on the Isode website, Messaging Protocols for HF Radio and Measuring Performance of Messaging Protocols for HF Radio. The final presentation gave results from an XMPP over HF trial funded by the UK MoD. The trial was carried out by Babcock, using Isode XMPP software, to evaluate the viability of providing a real time chat service for Naval and Airborne communications over HF. If you do not require these components then you do not need to install Java. Oracle has announced that Java updates for commercial customers ends after January 2019. See(https://www.oracle.com/technetwork/java/java-se-support-roadmap.html ). For R17.0v7 and later, Isode recommend commercial users of Java who do not wish to purchase support from Oracle, to use Isode’s “OpenJDK for Isode” package instead. This is available from www.isode.com This contains a copy of the OpenJDK (see http://jdk.java.net) which has been tested for compatibility with R17.0, and is fully supported for use by Isode applications. Isode R17.0 is supported with Oracle Java 8 and Oracle Java 11. A future version of Isode will remove support for Java 8. After Java 8, the next LTS (Long-Term-Support) version of Oracle Java is Oracle Java 11. Commercial users of Oracle Java 11 are required to purchase a license from Oracle. Commercial users may purchase extended support for Oracle Java 8 if they wish to deploy it after January 2019. Two new whitepapers have been published on our website. The first sets out Isode’s Strategy for HF, STANAG 5066 and Applications over HF, looking at Isode’s product set for HF, with particular focus on innovative capabilities, research and Isode led standardization. The second looks at the challenges of Operating XMPP over HF Radio and Constrained Networks, describing standards that have been developed to support constrained network operation and how these are supported in our M-Link family of XMPP server and gateway products. Icon-5066, Isode’s modem-independent STANAG 5066 server. We’re pleased to announce the first release of Icon-5066, Isode’s modem-independent STANAG 5066 server. STANAG 5066 provides a link layer optimized for HF Radio as described in the whitepaper [STANAG 5066: The Standard for Data Applications over HF Radio]. Icon-5066 will connect to one or two HF modems, either through a Crypto box or directly, and provides a single interface to an HF network, which can be shared by multiple applications. A comprehensive product description of Icon-5066 is available on the Isode website. HF Tool: For running a range of tests to ensure good performance and operation of modem drivers in a range of conditions. It also gives a clear measure of modem performance. STANAG 5066 Console: Providing STANAG 5066 server discovery, HF operator chat and throughput measurements to peer S5066 Consoles with ARQ and non-ARQ traffic. MoRaSky: Provides a service equivalent to HF modems connected to Radios and operating over the Ionosphere. It enables sophisticated testing of Icon-5066 and the applications it supports, without use of hardware or Over the Air transmission. Evaluations of Icon-5066 are available, contact your Account Manager or fill in the evaluation request form for more information.